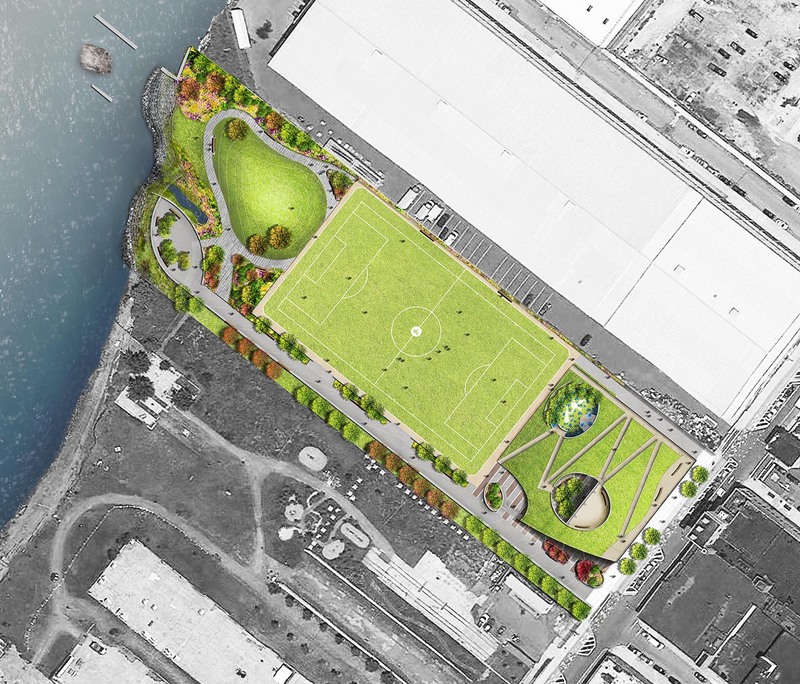 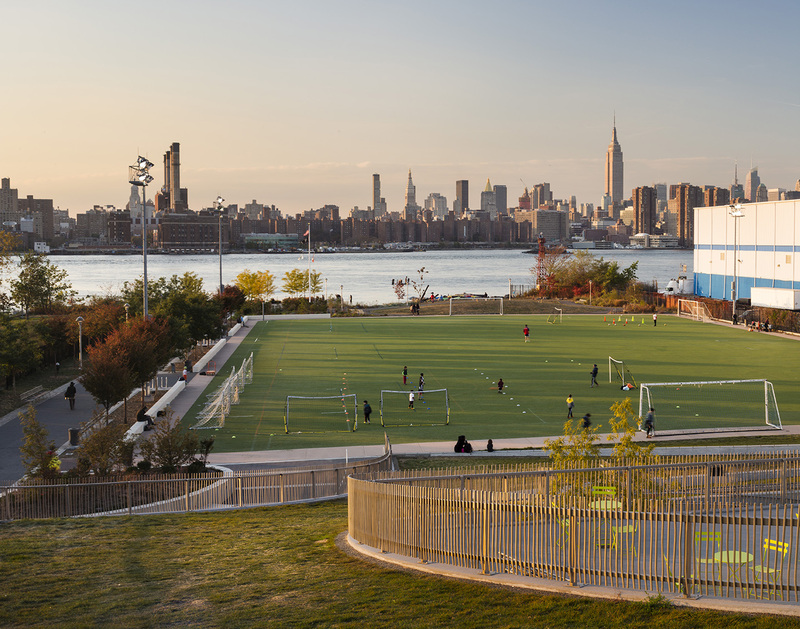 Bushwick Inlet Park reclaims the abandoned East River shore of Brooklyn for recreation and nature. 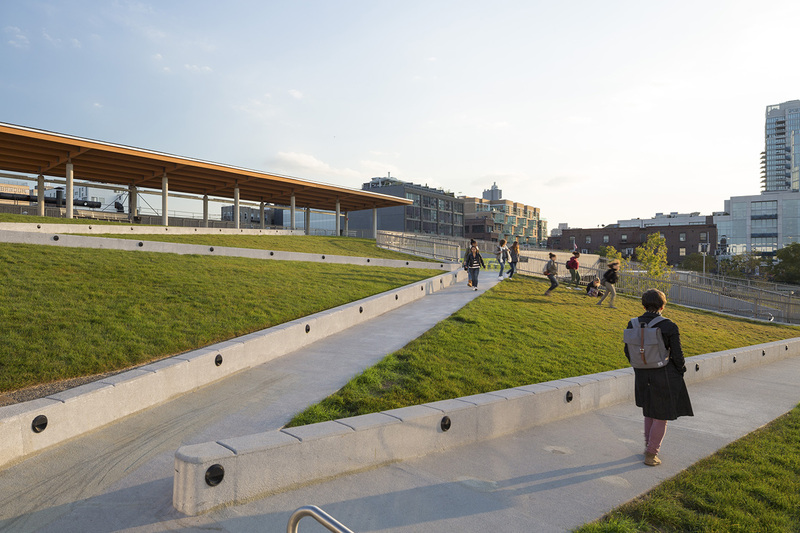 The first phase of the park, designed by Starr Whitehouse and Kiss + Cathcart Architects, creates a sequence of places arrayed along a generous park promenade to the water. 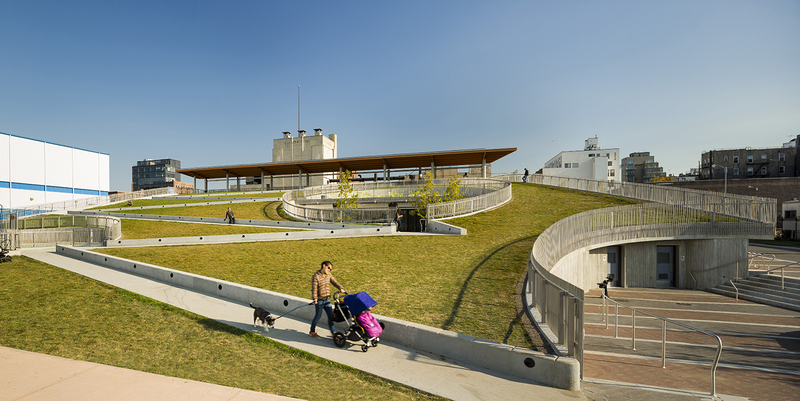 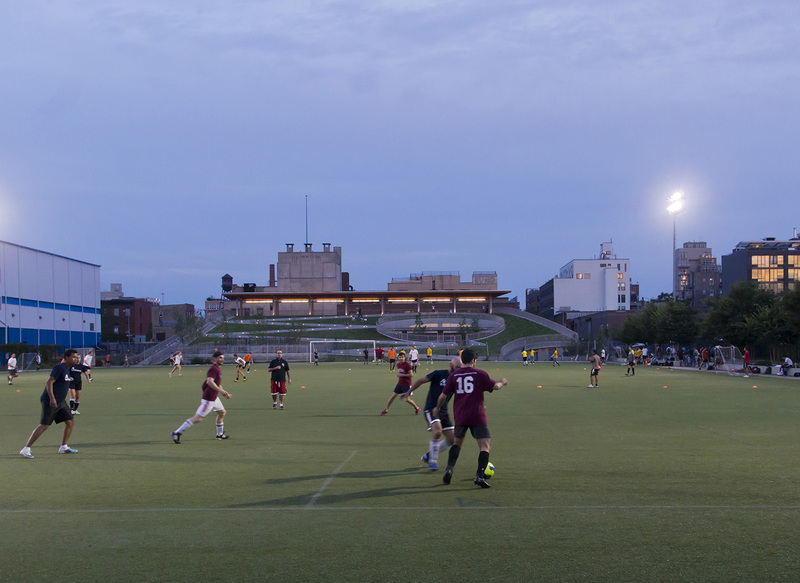 A new field house on Kent Avenue combines park maintenance functions and separate community spaces, while maximizing the public use of the park land: the fully-accessible green roof slopes dramatically to the ground in the west, providing a playground, terraced lawns, and commanding views over the park towards the river and Manhattan. 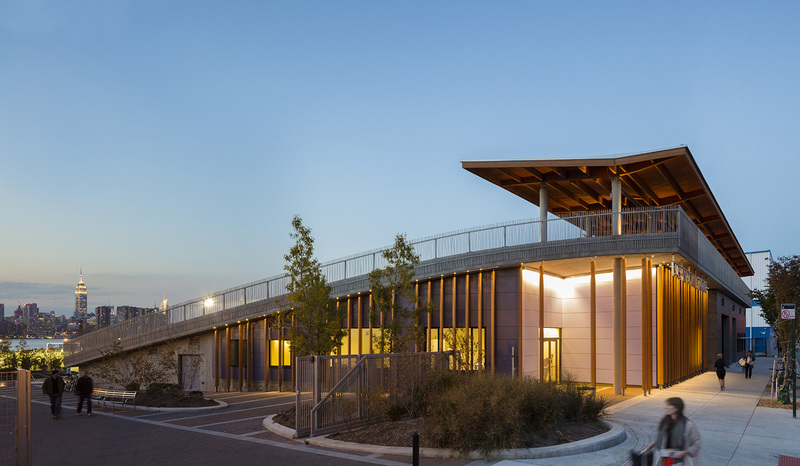 Sustainable systems include in-ground heating loops, photovoltaic electricity, and irrigation with collected site water. 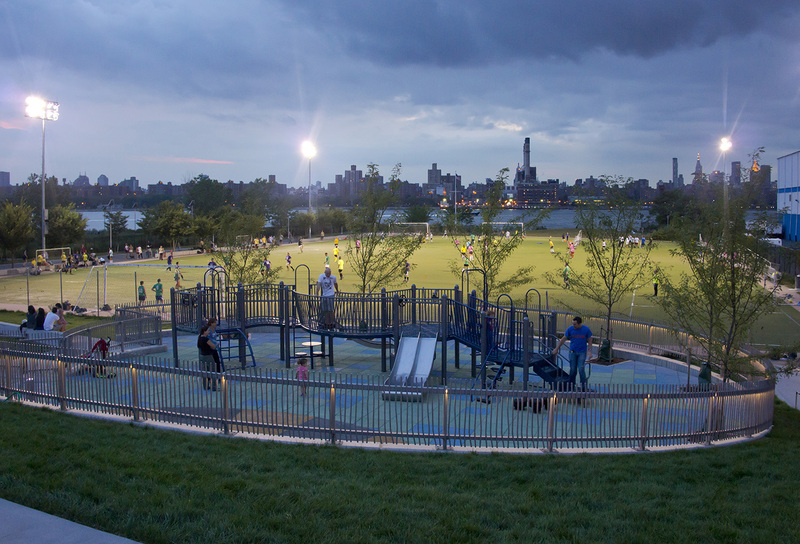 A multi-purpose sports field supports year-round community recreation and provides below-ground stormwater storage. 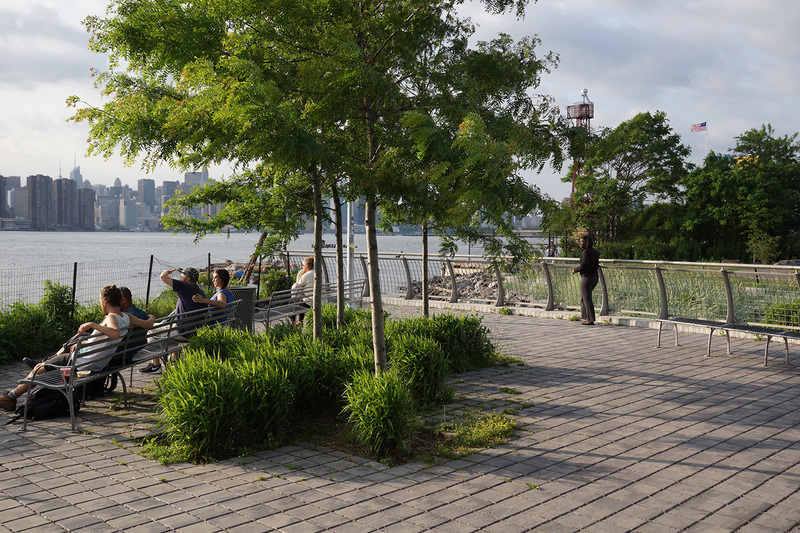 At the waterfront a grass knoll echoes the slope of the field house and a terrace of permeable pavement gives a tree-shaded overlook on the shore. 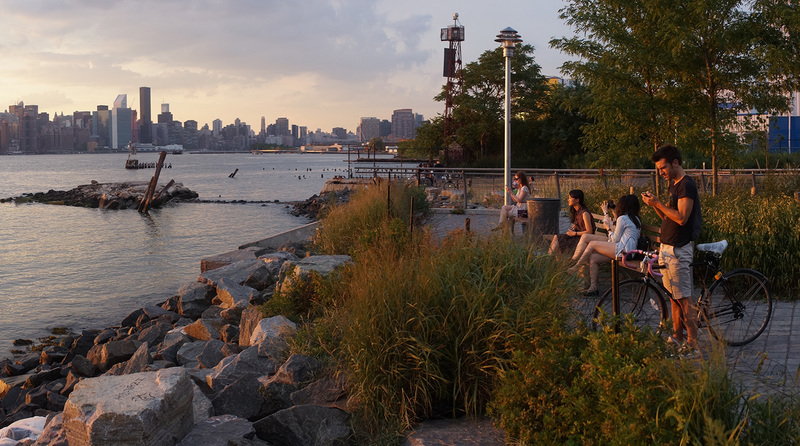 The waterfront supports marine and avian life, with an off-shore island, a varied rocky edge, and marsh plantings. 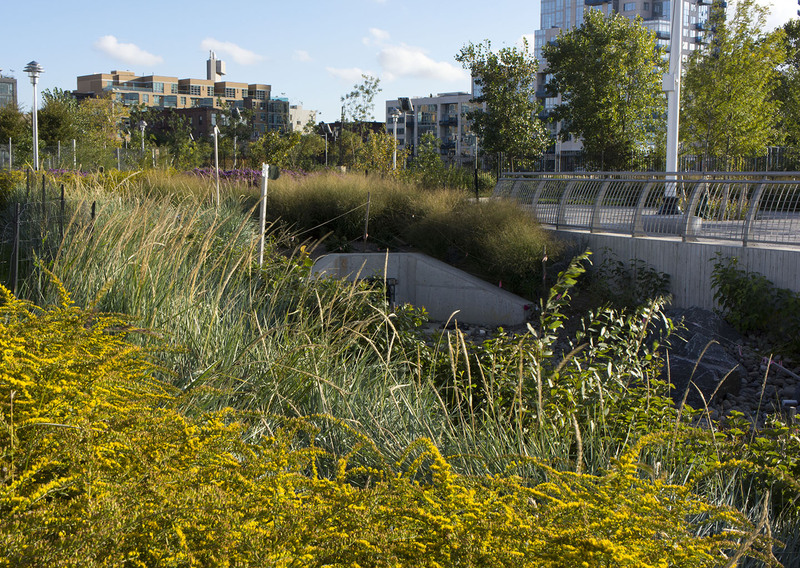 A freshwater pool of filtered site storm water and native upland plantings provide shelter, food and drink to migrating birds. 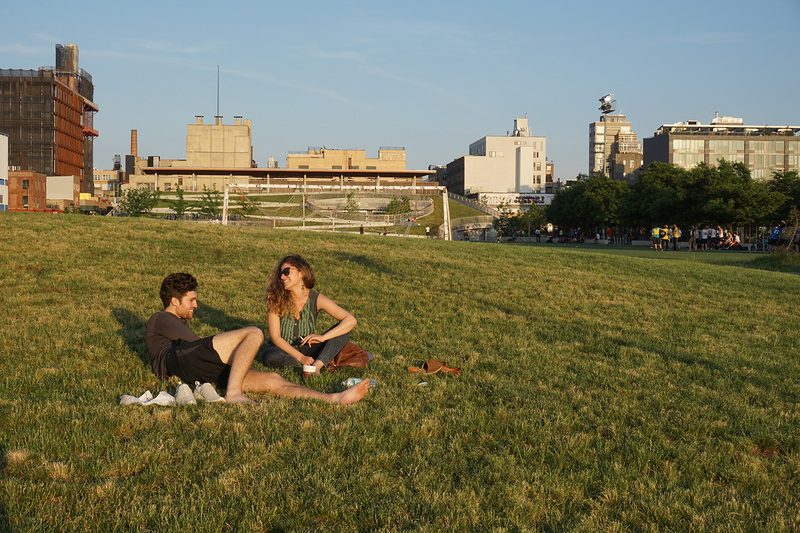 Take an interactive digital tour of the park, guided by Archidose’s John Hill.